Keirsey, David. 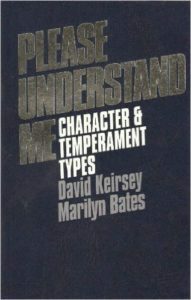 Please Understand Me: Character and Temperament Types. Del Mar, CA: Prometheus Nemesis Books, 1978. An interpretation of the Myers-Briggs temperaments and character types.